There's no need to keep using cotton balls when trying to remove nail foils. 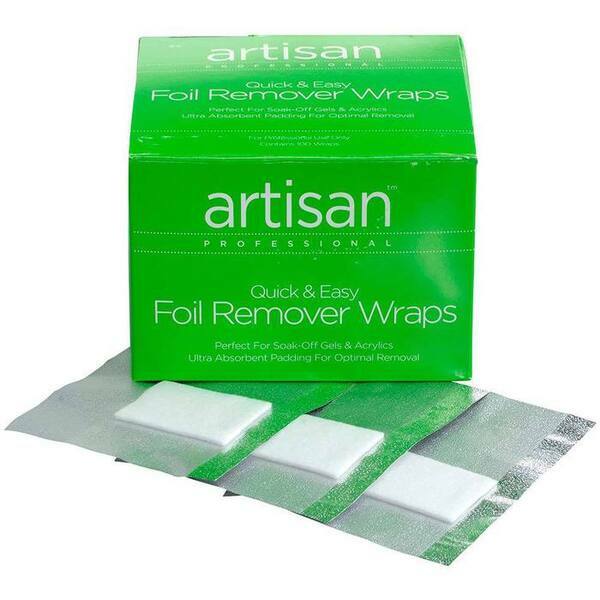 These Artisan Nail Foil Remover Wraps were designed to handle the job! They're extra-thick and durable enough to get it done! Great for soaking off gels, polishes and acrylics. Extra-absorbent, thick and durable which makes removal easy. Designed to be bigger than average nail foil removers so you get ultimate nail coverage. Comes in a box of 100 wraps that work with acetone to remove nail products within 10-15 minutes.